You need a little bankroll boost? No problem! Join our Community Freeroll and don't miss the chance to win some nice cash! 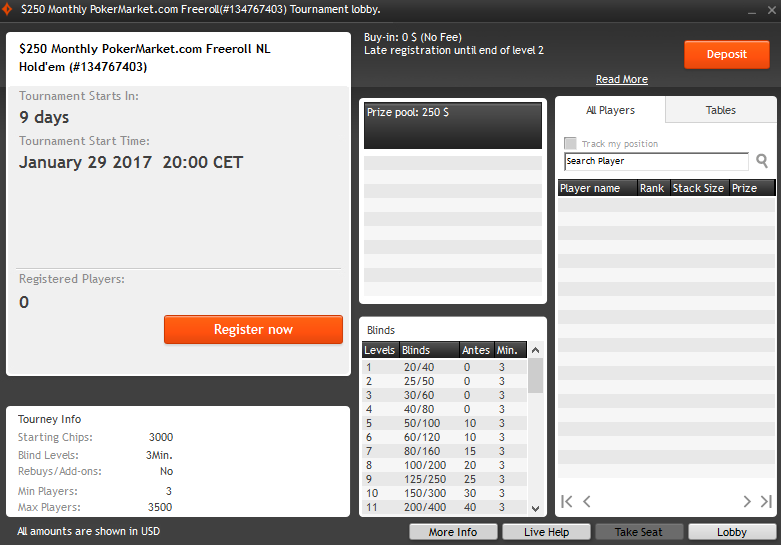 Info: This freeroll is for Party & Bwin accounts that are referred/tracked with PokerMarket.com only. Password: The password can be found at PokerMarket under "My Account". The tournament is listed under Tournaments -> Restricted. Can I get the password ? vamos lá gente bacana...password party poker pokermarket?? 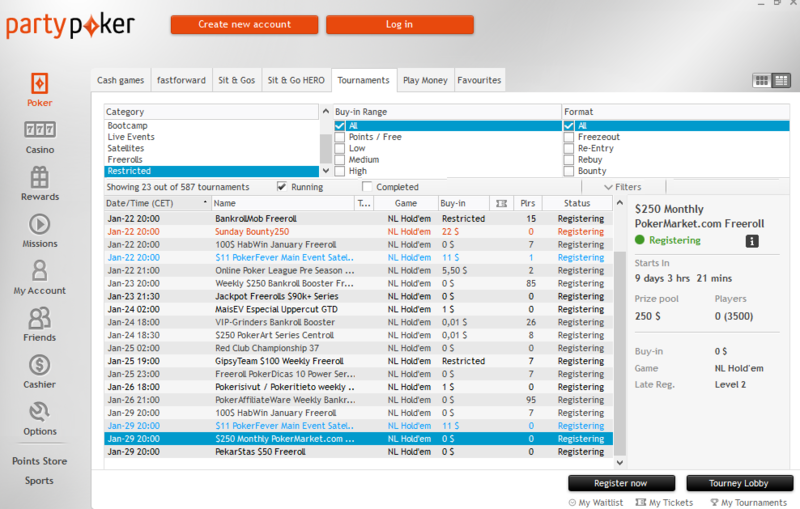 Hi, this freeroll is for PokerMarket users only and you need a registered PartyPoker or bwin account with us. Desculpe, mas aparentemente você ainda não tem uma conta conosco. Hi I already have an account with partypoker, may i have the pass please?